Sometimes when change comes, it is difficult and confusing. In 2011, an extension was added to US Highway 90 Alternate on the east side of Houston, Texas. A few days after it opened, an 83-year-old grandmother accidentally entered the extension going eastbound on the westbound side of the highway, with cars coming straight at her at 65 miles per hour. A Good Samaritan on the eastbound side of the highway saw what was happening and called 911 from his cell phone. He assumed that emergency responders would be able to see his location instantly. But the 911 dispatcher couldn’t find him because the map she was using didn’t have the new highway extension on it. The incident ended in a fiery, head-on collision that caused the grandmother to lose her life. First responders eventually located the site of the crash by overriding the system. The reason the 911 dispatcher was unable to pinpoint the caller was because the new highway extension hadn’t been added to the GIS data being used, nor had its existence been communicated with the Houston Emergency Center or the Greater Harris County 911 Emergency Network. As a result, the computer-aided dispatch (CAD) software for the 911 center had no indication that a highway extension was even there. Next Generation 911 (NG911) aims to upgrade emergency response systems so they can keep up with ever-evolving mobile communication and technology. For NG911 to work, features such as street centerlines and address points must be maintained at a higher level of precision than ever before. This should both excite and terrify GIS professionals who work in local and regional government. On one hand, it cements how mission critical a GIS database really is. On the other hand, amplifying existing data to this level and maintaining its accuracy is a huge undertaking. Currently, NG911 standards are still being finalized. 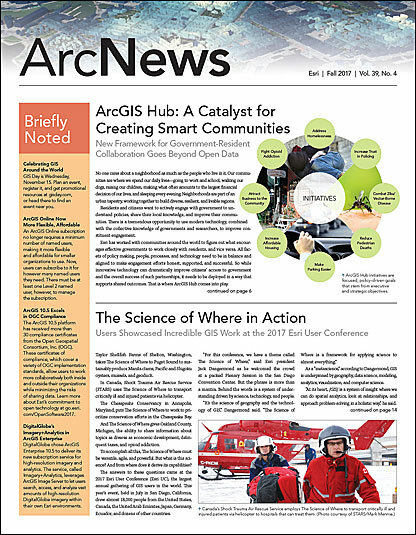 While that is taking place, it is imperative that GIS professionals in local and regional government explore what their role will be in this transition to NG911 and embark on creating a street centerline and addressing database that can service every internal and external partner in an enterprise GIS. The technology used to accurately locate 911 callers has not kept pace with advances in the digital technology that delivers calls for service, such as smartphones, tablets, home security systems, and health-related wearables. Although the current Enhanced 911 (E911) system has evolved since it was established more than 40 years ago, it was designed at a time when the only 911 calls received were from phones in static locations transmitting via twisted-pair copper wire. E911 was the industry’s answer to locating analog calls from wireless phones using GPS and cell tower triangulation. It could figure out where a caller was because the phones, or the cell tower’s connection to the wired phone network, never moved. With the advent of smartphones and their accompanying apps, people now expect that the 911 system will instantaneously know their location and be accessible in ways that go beyond voice communication (via text message, for example). But this is not the case. Today, if someone calls 911 from anything but a landline, it can take a dispatcher 45–90 seconds to locate the caller within approximately 150 feet. In a worst-case scenario, the dispatcher can find the location of the wireless tower that is transmitting the call—though this is not always the tower closest to the caller. What’s more, the Federal Communications Commission (FCC) only requires that 40 percent of all wireless 911 calls be accompanied by a dispatchable location (a verified street address that includes unit information when necessary) with about 150-foot accuracy. The FCC seeks to increase this to 80 percent of wireless calls by 2021. Next Generation 911 upgrades emergency response systems so they can keep up with technology. With NG911, however, 911 communication will transmit across Internet Protocol (IP)-based networks. This will enable all IP-based devices—those smartphones, security systems, and wearable medical devices—to initiate a call to 911. Call centers will also be able to receive additional information from callers, such as photos and videos, to augment emergency response. And devices will be able to send their own coordinates to NG911 during an emergency call. This is where the world of spatial possibilities really opens up. NG911 fully embraces GIS technology, bringing it into the center of the 911 system. 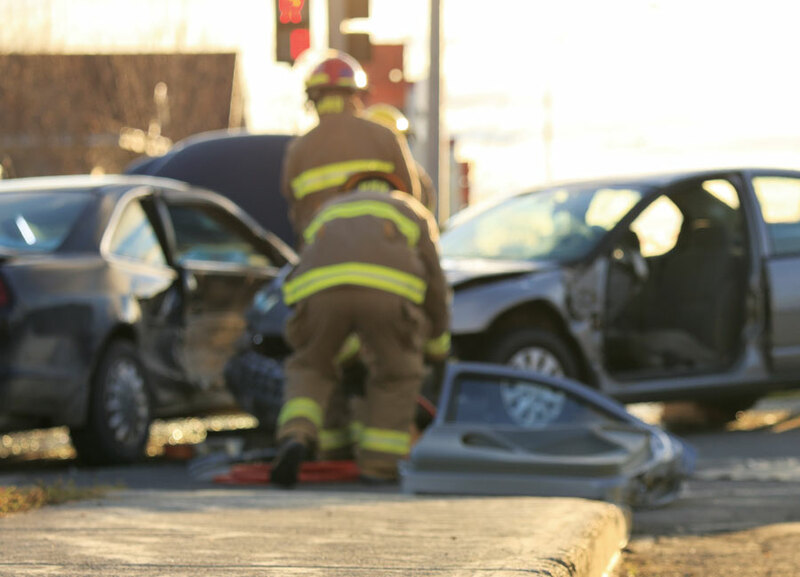 In any 911 call, there are two GIS-based core services at play: the emergency call routing function, which dictates where to send the call for service, and the location validation function, which determines whether an address is valid for routing and dispatch. For these NG911 core services to function properly, an authoritative, GIS-based collection of features—such as street centerlines, address points, call center jurisdiction boundaries, and the operating areas for emergency service providers (e.g., police, fire, and paramedics)—must exist. And these features have to be meticulously maintained so they remain accurate and up-to-date. A collection of features this detailed and timely will be the gold standard of location data. Not only will it benefit NG911 and other public safety systems, but it will also strengthen every enterprise system that deals with location. And what local or regional government enterprise doesn’t deal with location? Almost every department—from the planning and public health divisions to the revenue and county assessor’s offices—tracks location data on paper forms or in spreadsheets, flat databases, and GIS databases. Now, GIS professionals have the opportunity to build a street centerline and addressing database that can serve all their colleagues in local and regional government and beyond. Making this transition begins with bringing the data out of hiding. Many government enterprises operate independently of one another, quashing interdepartmental communication and data sharing. But for NG911 to work, GIS professionals need to build crosswalks that connect data silos to one another. The GIS authority, addressing authority, and 911 authority all need to have access to each other’s data. Unsurprisingly, this will have many intangible benefits for the entire enterprise, such as increased cooperation and efficiency. To start the data sharing process, GIS professionals should first visit their government’s public safety, 911 communications, and/or addressing departments. People in these offices will be familiar with NG911 concepts, but they may not fully appreciate what it means to have an authoritative, GIS-based collection of geographic data. It’s even more likely that they won’t understand how much effort it will take to develop and maintain these precise records. Given that each emergency call center is liable for coordinating the creation and maintenance of its authoritative data, it is up to the GIS professional to provide GIS subject matter expertise while letting the public safety, 911, and addressing authorities know exactly what is needed to acquire and preserve such accurate GIS data. NG911 may not have been able to prevent a tragedy like the one in Houston, but it is a system designed to get the public better access to lifesaving services through as many channels as possible. And for GIS professionals, it is an opportunity to increase the meaningful contributions they make to their communities through GIS. Read about the NG911 NOW Coalition’s goal to have sustainable and standardized IP-based 911 capabilities in every 911 system and call center in the United States by 2020. Learn more about NG911 standards and first steps toward upgrading. Jeff Ledbetter, GISP, PMP, is a senior project manager for Esri partner Michael Baker International, where he leads public safety and NG911 GIS projects. Ledbetter has been working in GIS since 1998 and began applying the technology to public safety in 2009. He is a member of the URISA NG911 Task Force, which supports GIS professionals in developing NG911 systems. Kathrine Cargo, GISP, is the GIS/mapping coordinator for the Orleans Parish Communication District in New Orleans, Louisiana. She is the chair of the URISA NG911 Task Force and is a member of the National Emergency Number Association’s (NENA) GIS Data Stewardship Work Group.